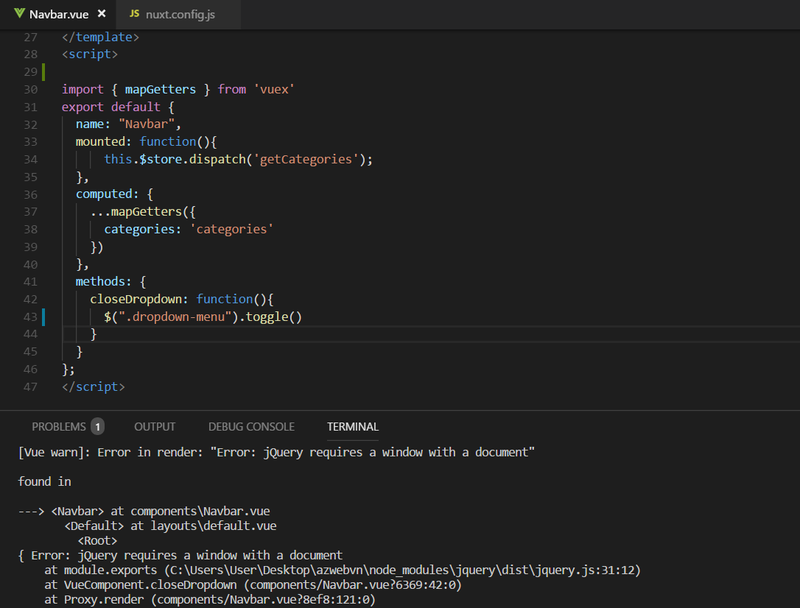 Use jquery error "jQuery requires a window with a document"! I tried many methods and tutorials but still failed. 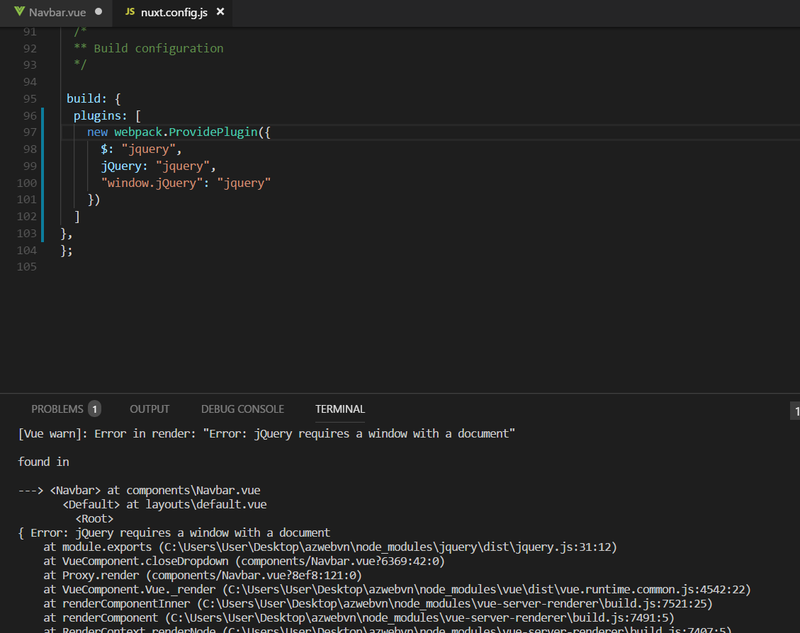 "jQuery requires a window with a document" I do not know how to fix it now. I think you should import jQuery as a plugin with no SSR and not as a webpack plugin. See the docs here: https://nuxtjs.org/guide/plugins/.